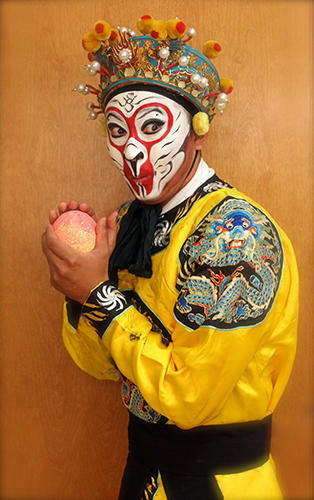 A main character in the Beijing Opera, Sun Wukong, also known as “The Monkey King,” will be part of a free public concert at MTSU March 17 in Tucker Theatre. MURFREESBORO, Tenn. (WMOT) -- World-class artists are performing music from the renowned Chinese Opera The Monkey King Thursday in Murfreesboro as Middle Tennessee State University opens its new Center for Chinese Music and Culture. The performance is part of a larger celebration this week as MTSU’s opens new classroom and office space in the renovated former Rutherford County Hospital building downtown. The new facility has been named the Miller Education Center in honor of MTSU Alum Andrew Woodfin “Woody” Miller Sr. In 2012, Miller made a record $10 million gift to the university. Earlier this week MTSU Provost Dr. Brad Bartel noted that the Confucius Institute and the university currently partner to provide Chinese language instruction in area schools. The new Center will expand that initiative to share Chinese culture and music with area children as well. MTSU says it spent about $6.5 million dollars to renovate the former hospital building. The facility will make more than 126,000 additional square feet of office and classroom space available to the university.